Ryan Giggs expressed his pride ahead of managing Wales for the first time -- and admitted he will be far more nervous than he ever was as a Manchester United player. Giggs' reign starts in the China Cup on Thursday, when Wales play China in Nanning to get the four-team tournament under way. The former United midfielder was appointed Wales manager in January, replacing Chris Coleman. 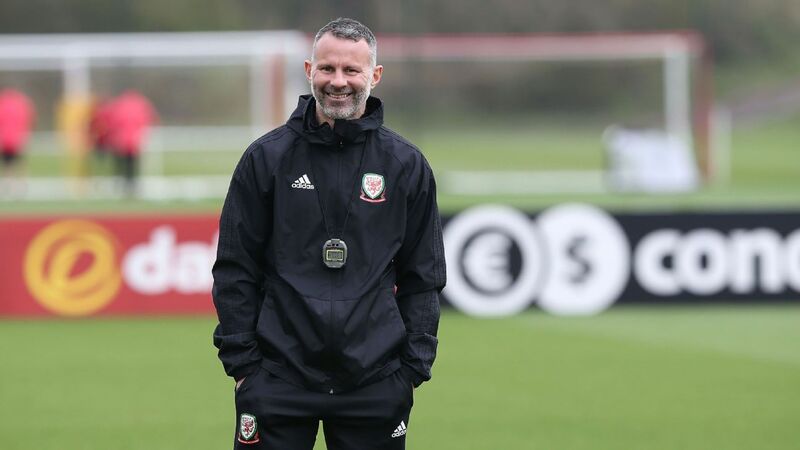 "I'm proud to be the Welsh manager and to be coaching this group of players," Giggs said at a news conference on Wednesday. "I'm excited for the game. I've been in the job now over two months and this is why I took the job -- for the football. Giggs was United's caretaker manager for four games in 2014 before spending two years as Louis van Gaal's assistant at Old Trafford. But this is his first permanent role in management and, asked about his philosophy, he said his intention was to win -- starting with the China Cup, which also features the Czech Republic and Uruguay. "The most important thing is to win games. But in the right way, just like when I was a player," Giggs said. "You want to play attractive football and entertain, but you have to do the basics like working hard as well. "I'm lucky to inherit a side with a good team spirit, and every successful team needs to have a good team spirit." Wales manager Ryan Giggs acknowledged he is nervous ahead of his first game. The bulk of the Wales squad arrived in Nanning on Monday evening. Gareth Bale -- who played and scored for Real Madrid on Sunday night -- arrived on Tuesday. "The preparation has been good," Giggs said. "Obviously, it's got difficulties with jet lag and players arriving at different times, but the hotel is good and the stadium is fantastic, so the preparations have gone as well as possible. "We've got a tough game against a China team with a great manager I've come across many times when he was coaching Juventus. It's going to be tough not only because of the manager, but the fact it's China at home." Meanwhile, China coach Marcello Lippi said on Wednesday said he does not believe he needs to offer Giggs any tips on coaching. "I wish him all the best, but I don't feel I need to give him any advice," Lippi said. "He had the best coach in Sir Alex Ferguson. He just needs to do what he learned from him."